Effective hip exercises can make the difference between increased motion and limitation of movement. If you have poor hip mobility without pain, you should do specific exercises, according to Dr. Blain Harrison, assistant professor of exercise science at Virginia’s Longwood University. Harrison notes that pain in the hips with movement is a sign of pathology and should be diagnosed and treated by a medical professional. Hip exercises enhance flexibility and improve endurance and cardiovascular fitness. 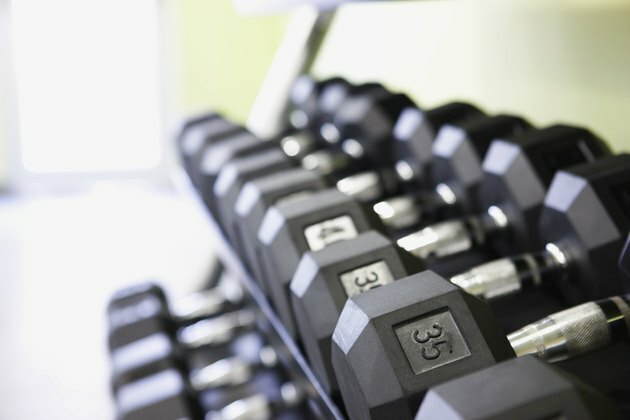 The worst exercises for people with bad hips are traditional, lower-body “weight room” exercises, common components of fitness programs, according to Harrison. Improperly executed exercises, such as back squats, front squats, leg presses, lunges and step-ups, place too much stress on hips. They are often performed with poor form and excess weight. The exercises don’t necessarily make bad hips worse, but there are many variables that go into safely and effectively utilizing these moves, notes Harrison. Individuals with bad hips should be supervised by qualified professionals when doing these exercises. Any exercise that elicits significant pain -- particularly pain that travels down the leg or is deep in the hip -- should be stopped pending a medical evaluation. The best exercises awaken muscles that are often dormant in people with hip problems. For instance, quadruped hip extensions awaken the gluteus maximus. On hands and knees, activate core muscles by drawing the abdomen up and in. Keeping the knee bent, raise your lower leg off the ground, consciously contracting the muscles in your buttocks. A dowel placed on the back keeps spinal movement to a minimum. The goal is five, eight and then 10 repetitions on each leg during the first three weeks. The reaching single-leg deadlift also activates gluteal muscles, enhancing hip mobility. Hold a 2- to 4-pound dumbbell or medicine ball. Raise one foot off the ground, supporting your weight on one leg. Keep the non-stance leg straight, reaching it toward the wall behind you as you stretch your arms toward the wall in front of you. Focus on getting “long,” reaching your arms and leg far apart from one another. Put a slight bend in your stance knee by unlocking and relaxing it. Muscle on the sides of hips help control hip and pelvis motion during walking and running. Strengthen them with a side-lying bridge. While on your side, use your forearm to support your upper body and bend your knees at 90 degrees. Raise your pelvis off the floor until you form a straight line from your shoulders to your ankles -- maintain for five counts. To add an extra challenge to the hips, raise your top leg off your bottom leg to a height parallel to the floor; this allows you to activate the muscles on the side of the top hip, as well. Begin with five repetitions and increase to eight the second week, and 10 the third week. The muscles on the inside of your thighs help you change directions, and they support your pelvis during gait. Do stability ball squeezes to strengthen inner thigh muscles. Start by sitting on the ground with a 45- to 55-centimeter stability ball between your legs. 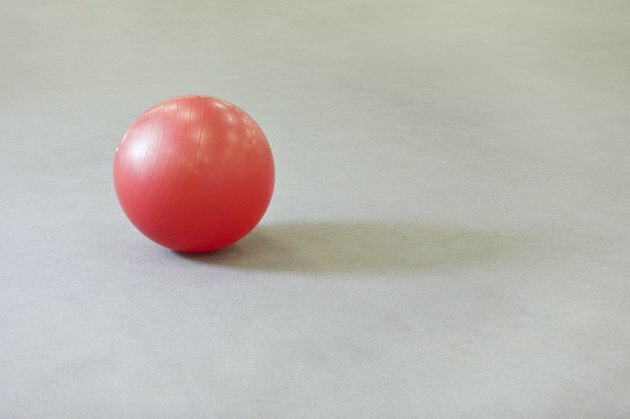 Squeeze your legs together, lightly at first, while gradually building up the effort until you reach a comfortable, but challenging, squeeze on the ball. Hold this contraction for five counts and perform three sets of eight to 10 repetitions. Several muscles help pull the hip up into flexion, but the two that originate on the spine and upper pelvis often become weak and ineffective due to dominance of the other three, according to Harrison. Activate these dormant hip flexor muscles with seated hip flexion. Harrison recommends placing your hands behind your lower back, using them to maintain proper curve in the back throughout the exercise. Raise one hip toward the ceiling for five counts and then alternate legs. Begin with five repetitions and increase to eight the second week, and 10 the third week.